WATCH What is salmonella infection or salmonellosis? 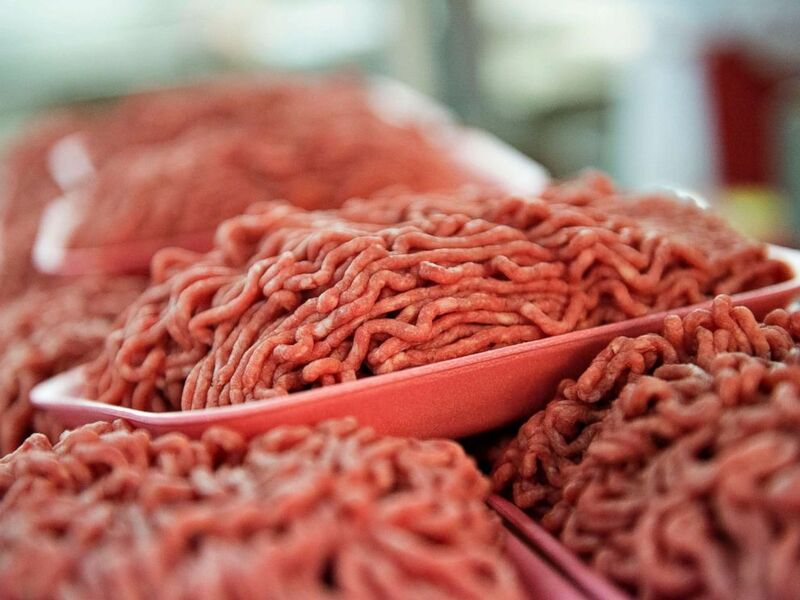 An Arizona-based company is recalling more than 6.5 million pounds of raw beef that may be contaminated with salmonella -- after 57 people in 16 states have gotten sick, the U.S. Department of Agriculture's Food Safety and Inspection Service (FSIS) announced Thursday. Ground beef with these labels may be contaminated with salmonella and should be thrown out or returned to the store as part of a recall. The raw beef items from JBS Tolleson, Inc., including ground beef, were packaged on various dates between July 26 and Sept. 7 of this year, and are marked with the establishment number “EST. 267” inside the Department of Agriculture (USDA) mark of inspection, according to the agency. The affected meat is sold nationally under the labels: Showcase (sold at Walmart), Cedar River Farms Natural Beef, Comnor Perfect Choice, Gourmet Burger, Grass Run Farms Natural Beef, JBS Generic. The entire product list is here. The affected meat is sold nationally under the labels: Showcase (sold at Walmart), Cedar River Farms Natural Beef, Comnor Perfect Choice, Gourmet Burger, Grass Run Farms Natural Beef, JBS Generic. Trays of ground beef sit on a rack in the meat department of a supermarket in Princeton, Ill., July 2, 2014. The 57 affected patients have reported getting sick after consuming the meat between Aug. 5 to Sept. 6, 2018, according to the USDA statement. Salmonella is one of the most common bacterial foodborne illnesses. Symptoms include diarrhea, abdominal cramps, and fever within 12 to 72 hours after eating contaminated food, and can last from four to seven days. Most people recover without treatment, but older adults, infants, and people with weakened immune systems are particularly vulnerable to dehydration and may need to be hospitalized.